Erasmus+ Programme will provide €14.7 million over the period 2014-2020 to strengthen education, training, youth and sport in Europe. More than 4 million young people, students and adults will gain experience and skills by studying, training or volunteering abroad through Erasmus+. 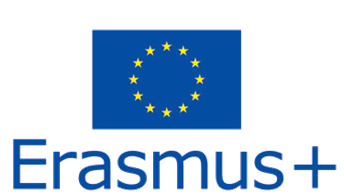 Erasmus+ replaces 7 programmes in the area of education and youth of the period 2007-2013 with one single programme. The Action supports staff mobility for teachers, lecturers, youth leaders, mobility for higher education students, vocational education and training students, joint master degrees, mobility for higher education for EU and non-EU beneficiaries and volunteering and youth exchanges. The Action supports Strategic partnerships between education/training or youth organizations and other relevant actors, large scale partnerships between education and training establishments and business, IT-Platforms including e-Twinning, Cooperation with third countries and focus on neighborhood countries. The Action supports knowledge in the fields of education, training and youth for evidence-based policy making and monitoring, initiatives for policy innovation to stimulate innovative policy development and European policy tools to facilitate transparency and recognition of skills and qualifications. Teaching and research, policy debate with academic world and exchanges and excellence in European integration studies are supported. Sport collaborative activities, non-profit European sport events, dialogue with European stakeholders, initiatives against match-fixing, doping, violence and racism in sport are supported.